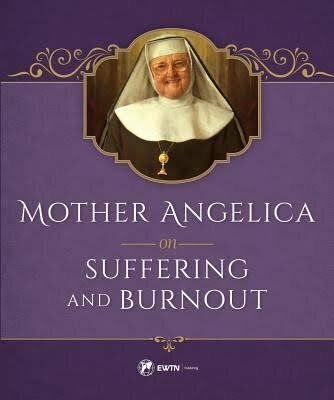 From the spiritual writings and reflections of Mother Angelica comes this lucid and life-transforming book for anyone who struggles with suffering, or finds difficulty in persevering in your daily responsibilities. Mother Angelica provides consolation and advice that only a spiritual mother can provide, helping you to understand the purpose of suffering, how it can be redemptive, and when to know you’re allowing your suffering to go to waste. You’ll learn how Christ is closest to you when He is silent, and how His silence can be one of the most powerful and purifying elements of the spiritual life. Finally, Mother Angelica shows you that what Jesus needs most from you is gratitude, trust, and, indeed, weakness. Follow the advice Mother Angelica offers in these pages, and you’ll soon find yourself consoled and reawakened to the generous grace God is daily offering to you.